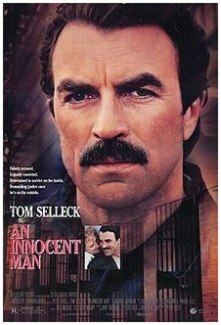 Television and screen legend Tom Selleck (Jesse Stone series, Runaway, Daughters of Satan, Magnum PI) turns in a riveting performance as Jimmie Rainwood, an average citizen whose life becomes a living nightmare when he's framed by a pair of crooked cops and sent to prison for a crime he did not commit. 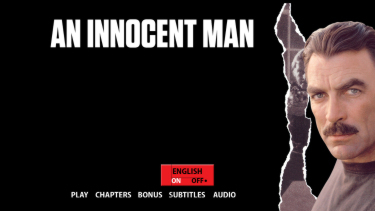 With his life torn apart, Rainwood swears revenge, vowing to fight back and deliver justice to the dishonest cops who set him up—no matter what the price. 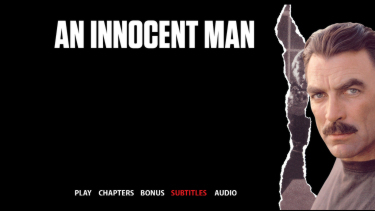 Ultimately, Rainwood risks everything to recapture his normal life, and prove once and for all, that he is An Innocent Man! 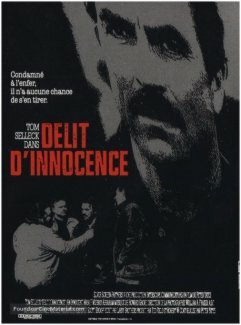 Directed by legendary filmmaker Peter Yates (The Deep, Bullitt, The Friends of Eddie Coyle) and co-starring F. Murray Abraham (Amadeus), Laila Robins (True Crime), David Rasche (Burn After Reading), Richard Young (Indiana Jones and the Last Crusade), Badja Djola (Mississippi Burning), Todd Graff (The Abyss), M.C. Gainey (Breakdown) and Bruce A. 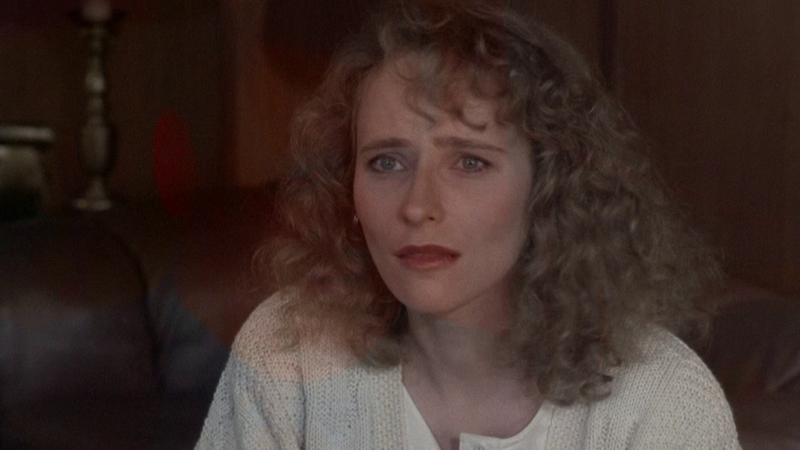 Young (Basic Instinct). 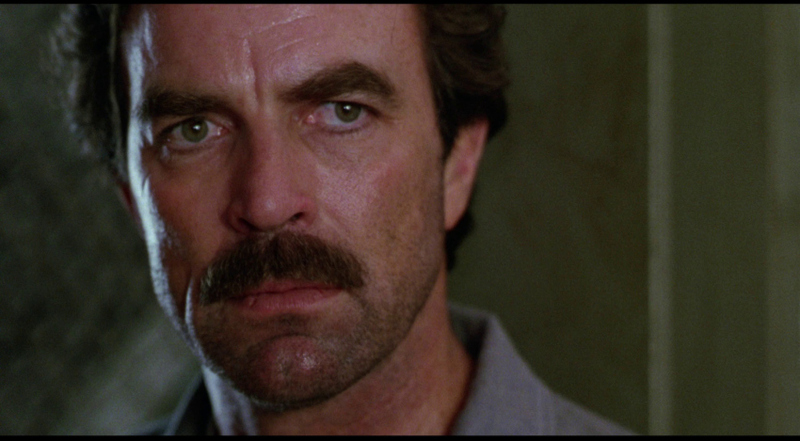 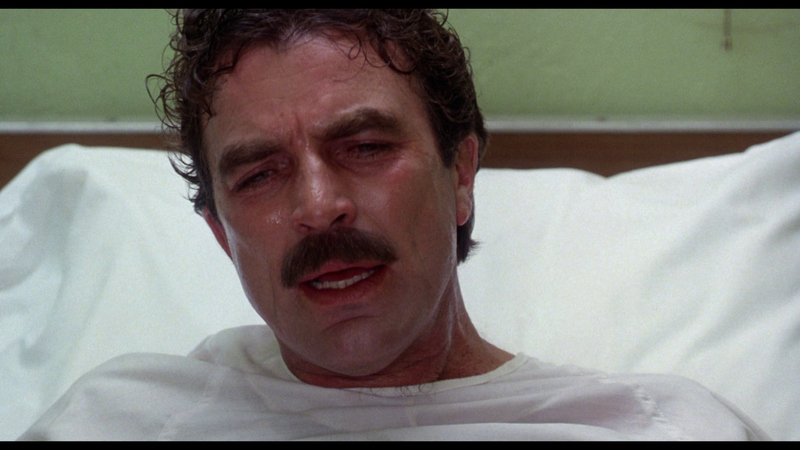 A powerful action-thriller starring international superstar Tom Selleck (Three Men And A Baby). 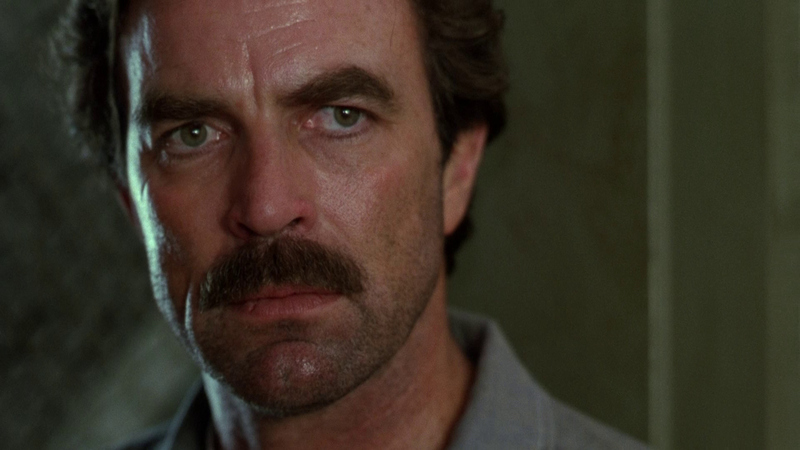 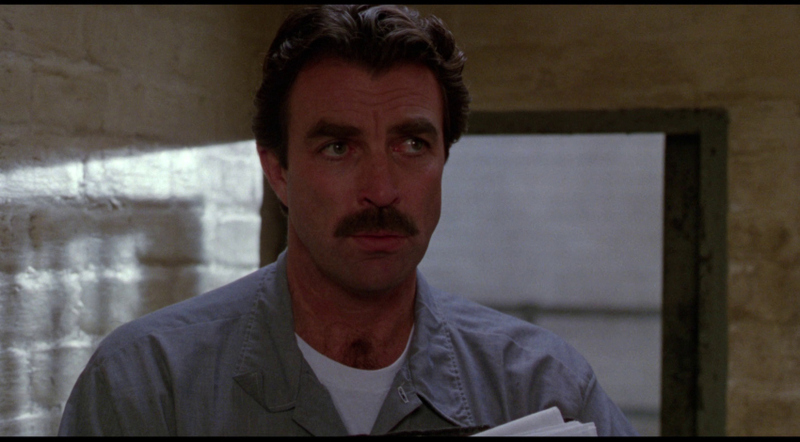 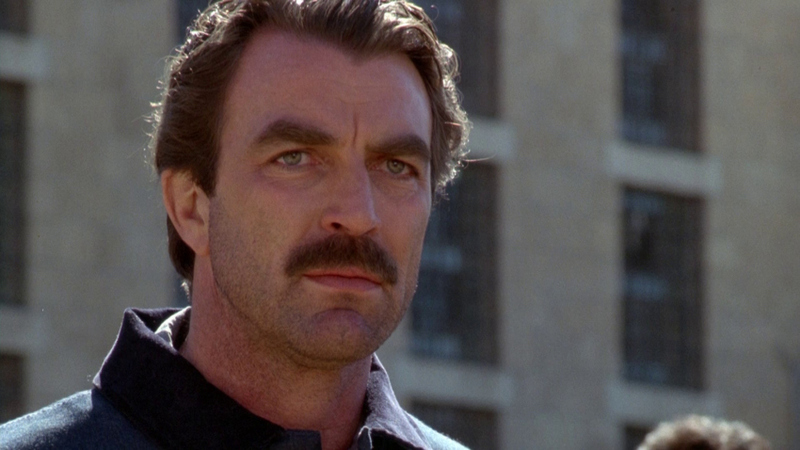 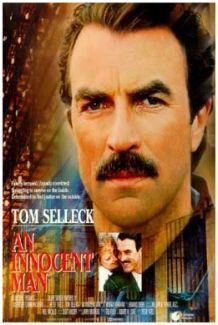 Selleck turns in a riveting performance as Jimmie Rainwood, an average citizen whose life becomes a living nightmare when he is framed by a pair of crooked cops and imprisoned for a crime he did not commit. 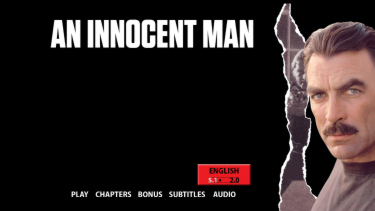 With his life torn apart, Rainwood swears revenge, vowing to fight back and deliver justice to the dishonest cops who set him up - no matter what the price! 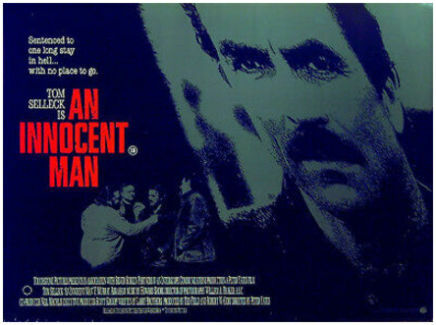 Ultimately, Rainwood risks everything - even his freedom - to prove, once and for all, that he is AN INNOCENT MAN! 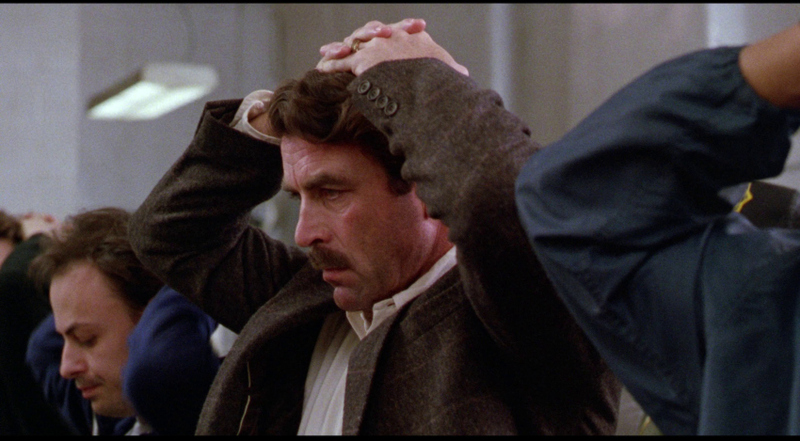 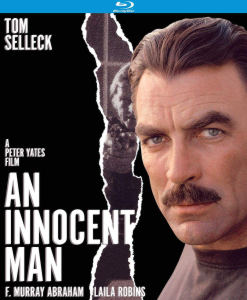 In Peter Yates' crime drama An Innocent Man, Tom Selleck plays Jimmie Rainwood, a stock figure airline maintenance supervisor with a perfect family. Then, one day, Jimmie decides to take a shower. 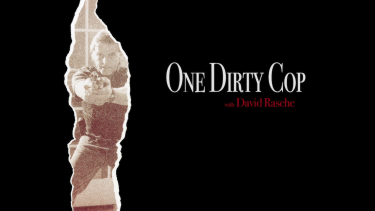 While scrubbing himself clean, two crooked cops are getting themselves dirtier. 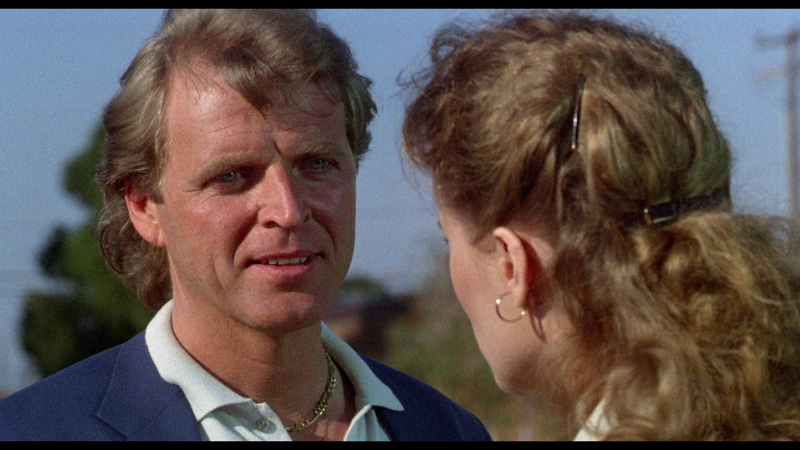 Mike Parnell (David Rasche) and Danny Scalise (Richard Young) are the kind of bad cops who bust the drug dealers, steal their supply, and sell it back to the local drug lords. 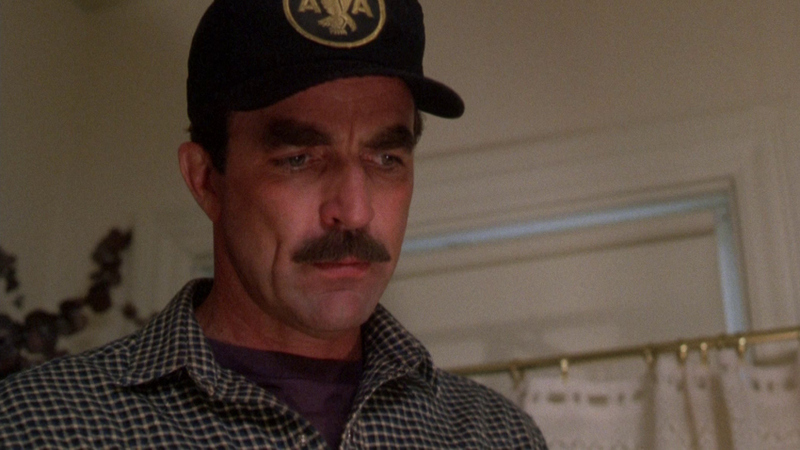 On this day, unfortunately for Jimmie, they get the wrong address and bash down his door. When Jimmie comes out of the bathroom wielding his hair dryer, Parnell and Scalise think it is a gun and shoot him. 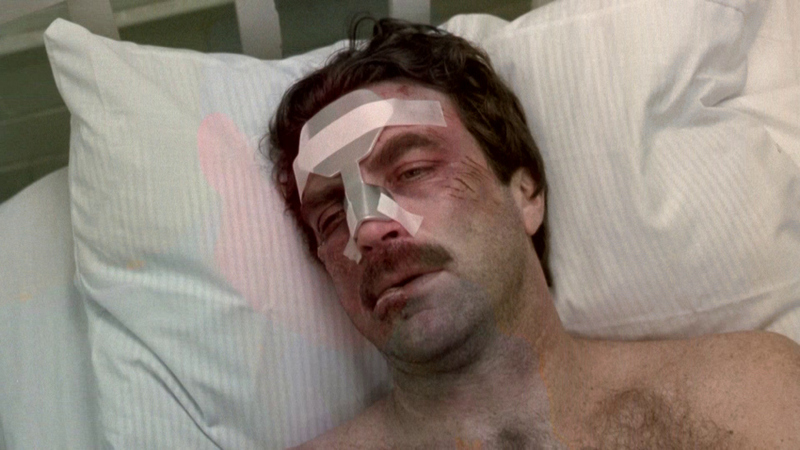 Realizing their mistake, they cover themselves and frame him as a drug dealer. 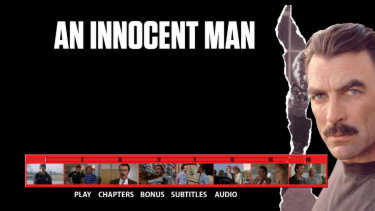 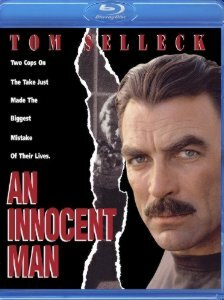 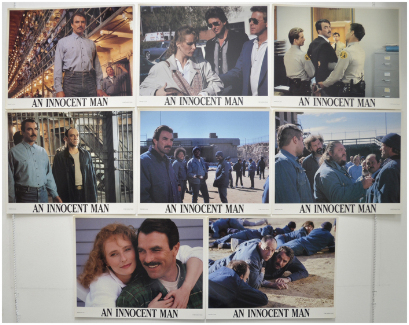 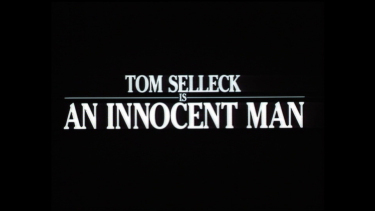 Kino easily improve upon the, 8-year previous, Mill Creek Blu-ray of the Tom Selleck/Peter Yates prison-flic An Innocent Man. 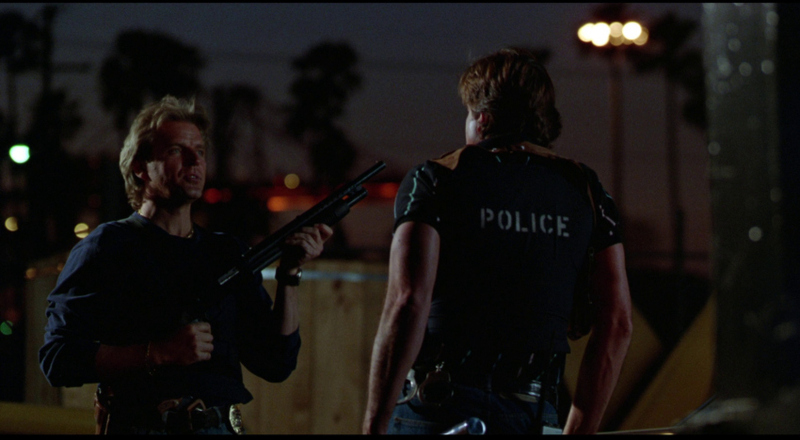 While both are on a single-layered disc - the Mill Creek is transferred in 1080i and has issues with artifacts and uneven contrast, color displacement and it fails when compared beside the newer Kino transfer. 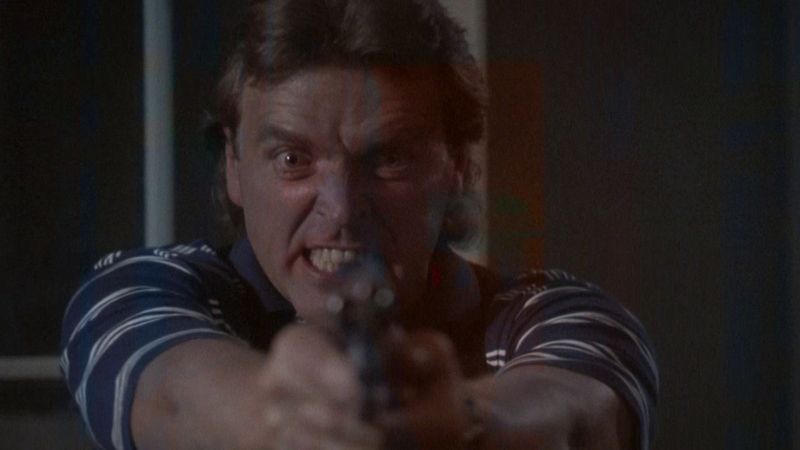 This can be seen in the resized captures below and is more obvious in the full resolution, expanded captures. 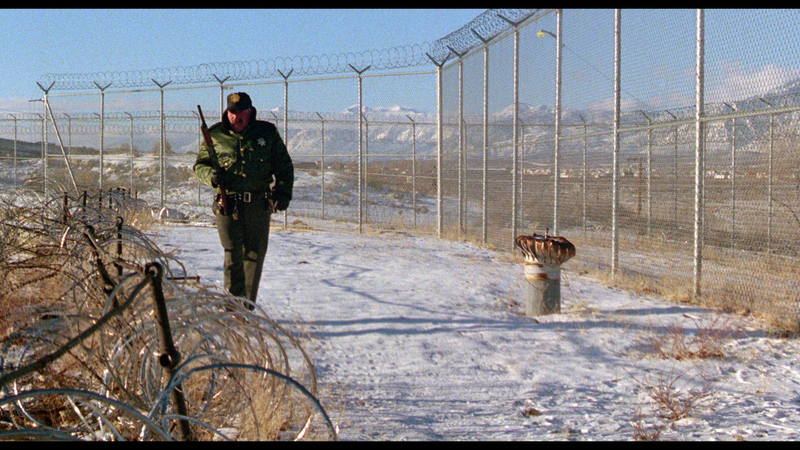 The Mill Creek is opened-up in the bastardized 1.78:1 aspect ratio and looks a shade squeezed, but the major issue is the inferior interlaced transfer. The Kino, while not the height of the format exports richer colors and the 1080P produces a competent 1080P rendering with pleasingly layered contrast. 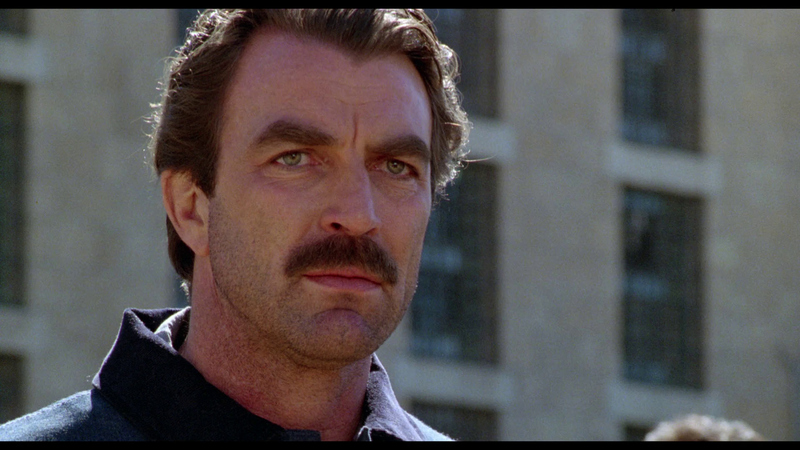 There are no glaring flaws. 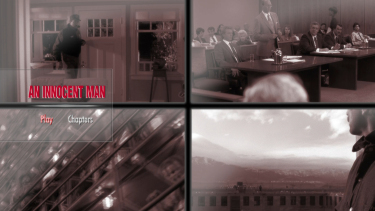 Mill Creek use DTS-HD Master 2.0 channel track (24-bit) track. Kino give the option of 5.1 surround or 2.0 channel stereo lossless, but only 16-bit. 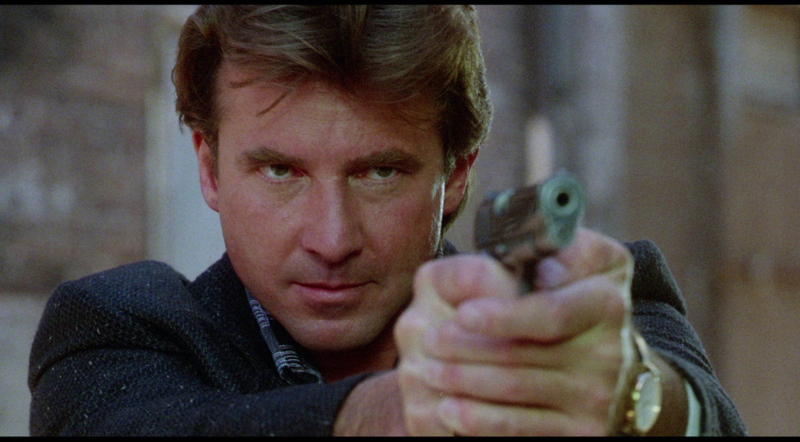 There is some separation in the film's more aggressive effects - gunfire, cars, fighting etc. 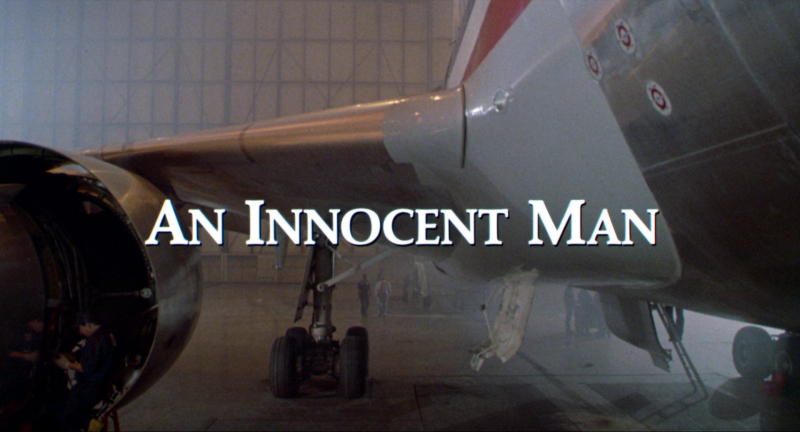 via Kino's surround audio transfer. 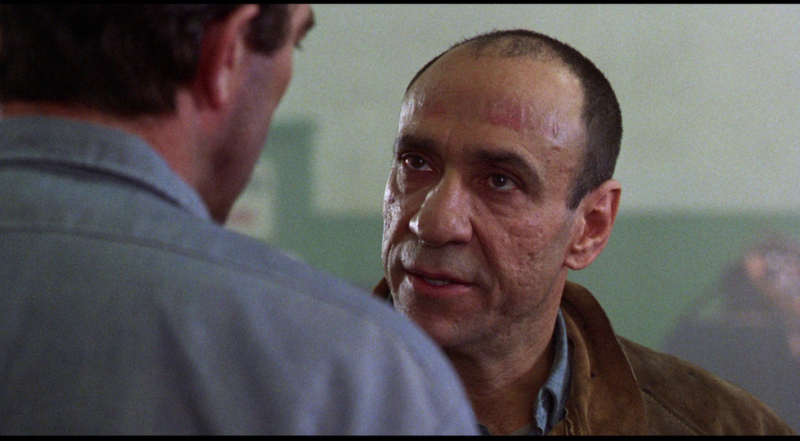 The score is by the impressive Howard Shore (The Silence of the Lambs, Cronenberg's Maps to the Stars, Scanners and The Brood, Tim Burton's Ed Wood, Fincher's The Game and Se7en etc.) 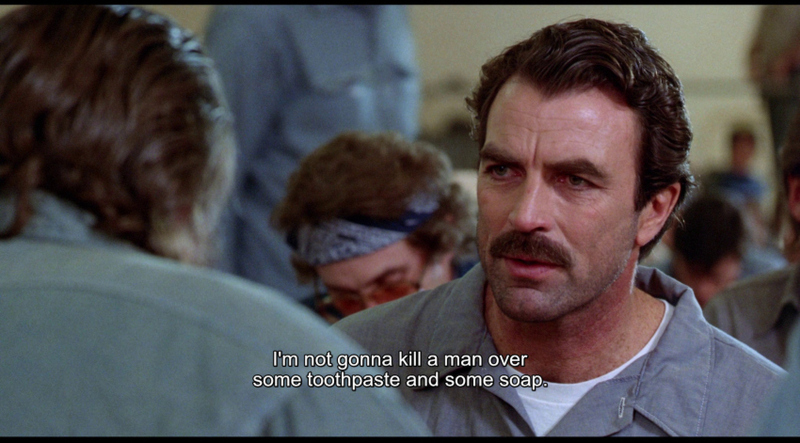 and sounds subtle but very supportive. In both tracks the dialogue is clear and audible. 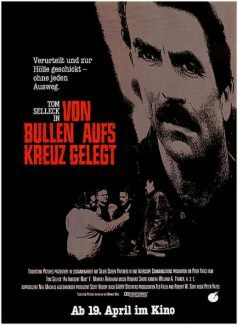 There are optional English subtitles on Kino's Region 'A' Blu-ray, where there are none on the Mill Creek. There are no extras on the Mill Creek. 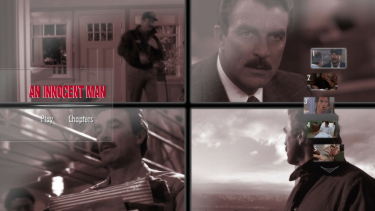 Kino add an informative commentary from film historian Jim Hemphill who focuses most of the discussion on Selleck's career including references that compare him to Cary Grant. 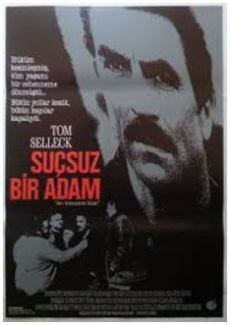 I found it revealing in that there was much I was not aware of regarding an actor (who I frequently enjoy and appreciate), especially his early years with a basketball scholarship, Dating Game etc. 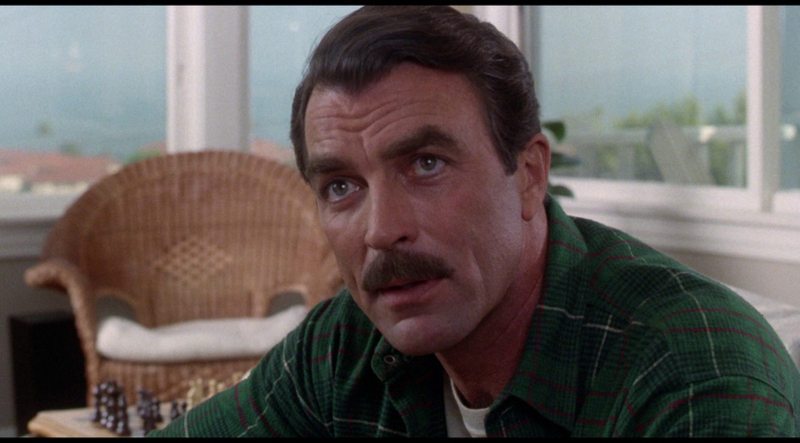 It seems Selleck did a lot of work before achieving recognition. He was given the role of Indian Jones - although was committed to other projects/contracts and it fell to Harrison Ford. 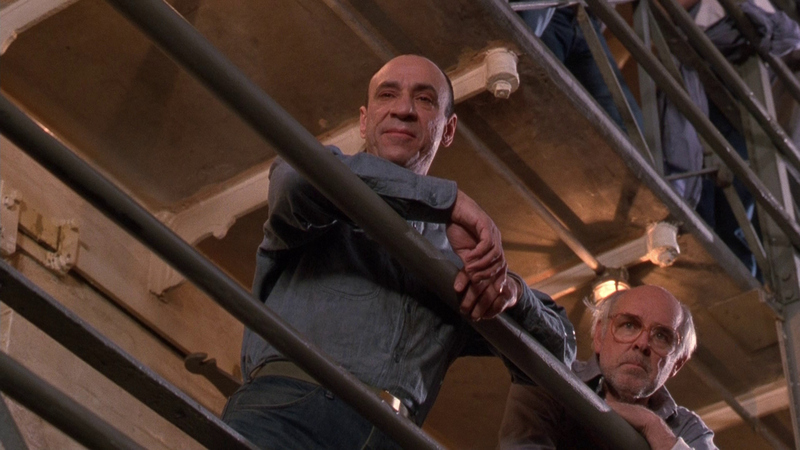 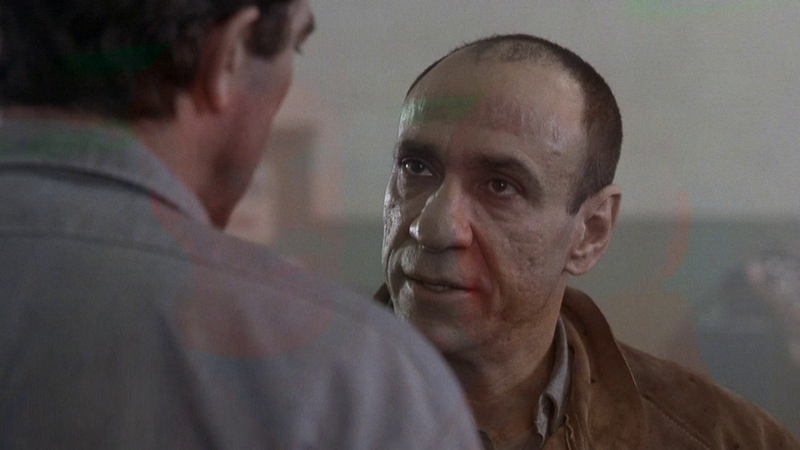 Hemhill also covers Peter Yates' career, Laila Robins, F. Murray Abraham and other members of the supporting cast and well as the solid behind-the-camera talent including DoP William A. Fraker, writer Larry Brothers etc. 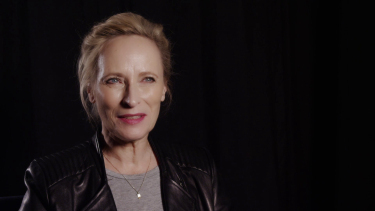 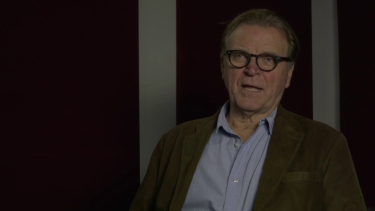 There are also new interview with actress Laila Robins (Selleck's loyal love interest, Kate Rainwood in An Innocent Man) for a dozen minutes - she still look attractive - and with actor David Rasche - one of the two villain cops in the film - who, as an actor, seems to have had consistent work for almost 50-years. 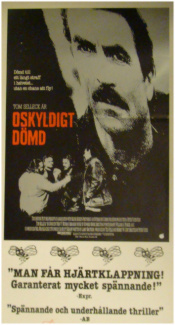 There is a theatrical trailer and trailers for a few other neo-noirish films.